Empty Box For Air Jordan 5 Retro Prem. Condition is Pre-owned. Shipped with USPS Priority Mail. Air Jordan Shoe Lot . Condition is New with defects.Boxes a little beat up but shoes are almost new . Shipped with USPS Priority Mail. AIR JORDAN SON OF MARS LOW 580603 300 OLIVE CANVAS GREEN/WHITE/BLACK MENS 12. Blue Hornets Anniversary. These are a pare of Jordan 5s size 12. 100% AUTHENTIC OR MONEY BACK 200%. ITEM#:718948-002. The midsole is still firm, and is not crumbling. The shoes have been cleaned, brushed, and treated with mink oil. There are no lace locks, nor an OG box. 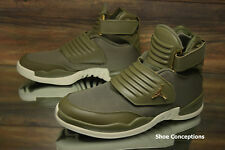 Make: Jordan (Nike). Model: Air Jordan 5 (Black Grapes). Nike Air Jordan 1 Mid Top 3 White Black Hyper Royal Red, size 12..worn a few times vnds 100% authentic with box Condition is Pre-owned. Shipped with USPS Priority Mail. Air Jordan XI 11 Low "Infrared" SZ 12 Nike. Condition is Pre-owned. They have been taken care for very well. They have sneaker shields to prevent future creasing. Come on the OG box, please see all pictures before bidding. AIR JORDAN jumpman flight logo detail on back of heel. Traction rubber outsole for ultimate performance. air jordan 1 golden harvest. Condition is Pre-owned. Shipped with USPS Priority Mail. Air Jordan 1 Retro High OG “Top 3” Size 12. Condition is Pre-owned. Come with replacement box. Shipped with USPS Priority Mail. Air Jordan 1 Mid “New Love” Yellow Maize White (554724-035) Size 12. Condition is Pre-owned. Shipped with USPS Priority Mail. Air Jordan Retro 3 Wolf Grey Size 12. Condition is Pre-owned. Shipped with USPS Priority Mail. The shoes were purchased from Shoe Palace. The shoes will come with the original strings which aren't pictured. Please do not bid on my shoes unless you are ready to pay immediately. Please do not bid if you don't have feedback. If you don't have any feedback I will cancel your bid. Air Jordan 3 Retro "Do The Right Thing" - Men's 12. Condition is Pre-owned. Shipped with USPS Priority Mail. Nike Air Jordan 1 Retro High "Russell Westbrook” Size 12. Condition is Pre-owned. Shipped with USPS Priority Mail. Size 12. Authentic. Clean, just some creases and signs of wear. Jordan 4 Pure Money 2017. Condition is Pre-owned. Yellowing on outsole. These Air Jordan 14 desert sand are in fair condition. There are some dirt areas throughout. There is a scrape on the side as pictured and there is a small stain on the toe box as pictured. Please review all pictures for overall condition. Sorry no original box. These will be protective wrapped and boxed for shipping. Pre-Owned Nike Jordan Future 656503 Grey/Volt 3M Reflective Men's Shoes Sz 10. Condition is Pre-owned. Shipped with USPS Priority Mail. 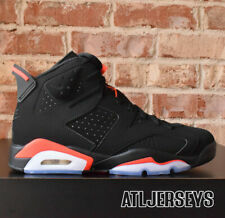 Nike Air Jordan mens sneakers. White powder blue black. High tops. Number 310805 106. PreOwned. In excellent condition other than missing insoles. See pics. Size 12 US. Shipped with USPS Priority Mail.